Enjoy the lab exercises. Exercise your curiosity. Please see the schedule for open times and remember that TA are assigned to specific courses. Don't wait to start until the last day as the OPEL can get very busy. This kit contains the diodes, transistors, ICs, LEDs, capacitors, inductors, resistors, and wires needed to build the experiments. 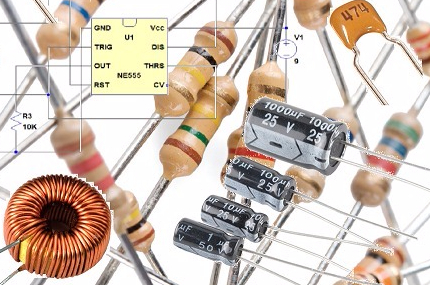 Data Sheets - for components in the Electronis Parts Kit. For most lab materials, we have arranged for one-stop shopping from Electronix Express, at competitive prices. to purchase another one for a particular course. A and D Trainer with Power Supply (Also Known As A&D Board) - Part no 32VPTADBRD from Electronix Express or another vendor. Velleman PCSGU250 Oscilloscope with Function Generator - Part no 32VPTPCSGU250 from Electronix Express or another vendor. Note: if you have a 1MHz scope with a function generator, you do not need to purchase the Velleman scope. Digital multimeter - V79 Part no 32VPTV79 from Electronix Express is recommended. Note: Other meters with similar specs are acceptable. Meter and scope probe kit - Part no 32VPTTPK1 & 32VPTTPK2 from Electronix Express are recommended (32VPTTPK2 contains the cables below). Screwdriver, 22 Gauge wire stripper, needle nose pliers - tool kit Part no 32VPTTK1 from Electronix Express is highly recommended. ECE USB Power Supply - Part no 32VPTUSBPS1 from Electronix Express or another vendor. Distribution is in the OpEL Lab (219 Whittemore) during the first week of classes (Tentatively on Friday noon ~ 5PM). Transfer students should contact your instructor to obtain a kit. How to create -5V from an ANDY board? The ANDY board provides +9V, -9V and +5V but not -5V. Click the link below to see how to create -5V. Create -5V on your ANDY board.